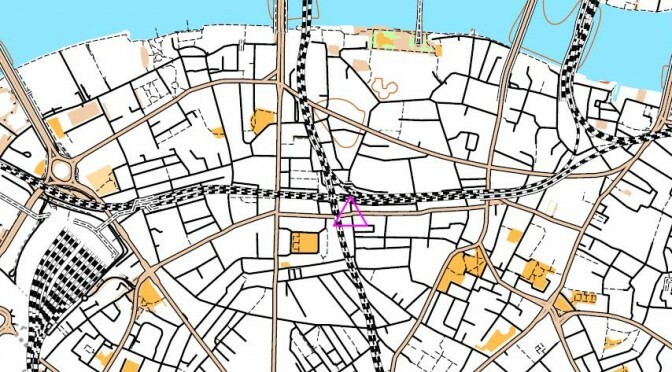 Here are the Final Results from yesterday’s Street Orienteering Race in Fulham. Embarrassingly enough, I appear to have won, although very closely followed by relative newcomer Leo Muid in 2nd place and relative oldcomers James Lyne, Paul Nixon and James Fraser in 3rd to 5th. In the ladies’ race, Harriet Boughton (running with Simon Martin) came out on top, followed by Sue Carter and Claire Heliot. PS: We have two runners without any scores from yesterday, if this is you please get in touch. Welcome all to the 2017-18 season of evening street orienteering races! This year’s series will kick off on Tuesday 19 September in beautiful Fulham – join us for an evening of checkpoint hunting & post race chat and food. The race will be based at The Lillie Langtry pub in northeast Fulham. Registration will be in the upstairs area. Please do stay after the race for a drink and a spot of food – especially for us they are doing half price fish & chips (£6) so what’s not to like? The Lillie Langtry is on 19 Lillie Road around the corner from West Brompton train/tube station on the District / Overground Lines. Here are the Final Series Results for 2017-18. The events take place in the evening, on the second Tuesday of each month from September to May. The full schedule for 2017/18 is set out below. Full details on each event are posted on the SLOW website and facebook a few weeks before the event. If you would like to contact any of the organisers, or have any questions, email the series coordinator Matthias Mahr at to be put in touch. Each event is scored separately and you have an hour to get as many points as you can. If you’re over an hour, you lose points so don’t be late. You don’t need any specialist equipment although a pen, watch and possibly torch can be helpful. The ninth and final Street-O of the 2016-17 season was held in lovely spring weather on Wimbledon Common, organised by Jane Harries (recently returned from the Marathon Des Sables!). Almost 100 runners took part in the final race which brings the total for the series to well over 400 different individual participants. The Race Results are now available as well as the Final Series Results for 2016-17. Congratulations to series winners Matthew Schepisi and Katrin Harding, who came a very impressive third overall. It’s now over to Park Races until September when the 2017-18 street-o series will start again. I am looking for volunteer organisers, it’s a fun and easy job with lots of support provided so if you’re interested please get in touch on . The FINAL (and PRIZE GIVING) race in SLOW’s 2016-17 Street-O series will be held on Tuesday 9 May 2017 in Wimbledon Village. This event will use electronic timing for the start and finish – please bring your SI card if you have one. The race will be based at The Hand In Hand pub in Wimbledon Village. Please do stay after the race for a drink and of course the PRIZE GIVING! We might have the odd spot prize too. The Hand In Hand is about a 20 minute walk (or 10 minute warm-up jog) from Wimbledon mainline station. Alternatively, buses 93 and 200 will take you almost to the front door. Results will be available on the SLOW website shortly after the event. Check the 2016-17 series page for more information. Here are the Final Results from last night’s Tooting Street-O. I hope you all enjoyed yourselves on another dry and balmy night. It was a first win of the season for James Lyne while Katrin Harding used her win as a speed workout for the upcoming London Marathon. With one race to go, there is still much to play for in the Series Results although the first two places in both men’s and women’s races have already been decided. Do join us in leafy Wimbledon on Tuesday 9 May for the final race and prize giving – we’ll be at the Hand In Hand pub on the Common with more details coming soon. The penultimate race in SLOW’s 2016-17 Street-O series will be held on Tuesday 11 April 2017 in Tooting. This event will use electronic timing for the start and finish – please bring your SI card if you have one. The race will be based at The Selkirk in Tooting – we’re back in our South London heartland this month! The pub does excellent food so do stay on after the race. A great turnout of 93 runners made it all the way to East London for the Bethnal Greeen Street-O: I hope you all enjoyed a very different part of London, including some housing estates, canals and a lovely avenue through Victoria Park. Series leader Matthew Schepisi made it a very convincing fourth win and is now guaranteed the series title: congratulations! Katrin Harding, in full training for the London Marathon, was first woman and in a creditable 8th place overall. Here are the Final Results from the race and the updated Series Results – any comments please let me know. 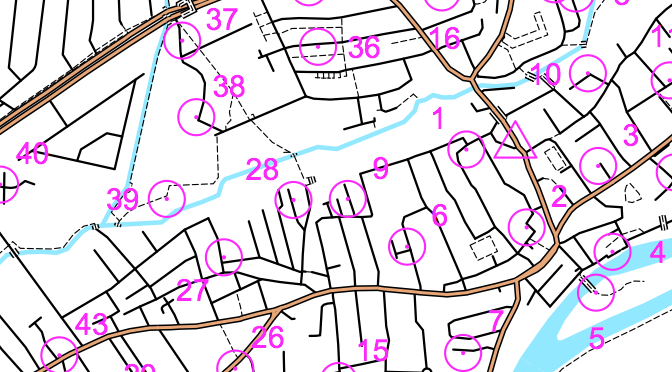 Thanks to Elaine Battson from our friends at London Orienteering Klubb for organising, and I hope to see many of you back south in Tooting on Tuesday 11 April – details coming soon.